Career Style Advice – Stylish or Sexist? 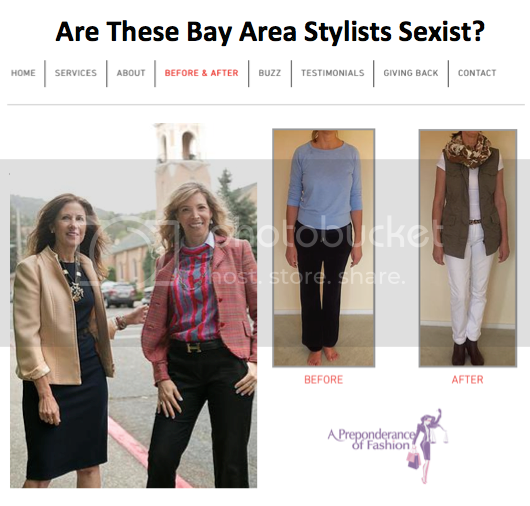 Two Bay Area personal style consultants decided to market themselves to female attorneys. To this end, they published an article titled “Beyond Black: Revising the Lawyer Dress Code for Women,” in The Marin Lawyer (PDF available here). These “Style Rescue” stylists are being accused of being blatantly sexist. The article contains a list explaining how to seek “legal redress” to discover personal style. Should women take career style advice from these stylists? These women met while working as style consultants at J. Crew. Their company seems fairly young but they have made efforts to reach out to ladies in the law. They have cleverly volunteered to host career style advice events like one at the Fashion Law Society of USF Law School. I agree that some many women in the legal field can be better dressed. I also believe the same is true of men. Professionals in other fields can benefit from career style advice too. And while I think these stylists may have a good business plan, I think they need to present a better image for their business. If you are going to be a style consulting business that is critical of someone else’s fashion, I expect to be impressed by the before and after photos on your website. If the consultants have photos on their website, I also expect to be moved by their personal style. I did not expect to see only a handful of images that were likely taken by a tripod, for a blog. My advice to these stylists is for them to take their own advice: it takes fewer than three seconds to form an impression, like it or not. According to CBS San Francisco, the Marin Bar Association said it does not necessarily agree with each article in its newsletter. A rebuttal will be printed in its next edition.